The Law Association of Zambia (LAZ) has described as untrue assertions by Justice Minister that that it was not opposed to schemes by government to breach the constitution and impose Justice Lombe Chibesakunda on the judiciary as Chief Justice. LAZ president James Banda said it was not true that the association had not questioned the eligibility of Justice Chibesakunda to be appointed Chief Justice. Mr Banda told the Daily Nation that LAZ had not changed its earlier position on the Acting Chief Justice and that the association was not going to continue debating the matter because the constitution was clear about the qualifications of a Zambian Chief Justice. Justice Minister Wynter Kabimba said on Muvi Television special Assignment programme on at the weekend that LAZ did not dispute the qualification of Justice Chibesakunda to be appointed Chief Justice. LAZ is on record demanding the immediate resignation of Justice Chibesakunda from the office of Chief Justice because she was constitutionally disqualified. 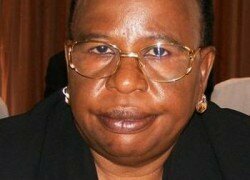 The association in objecting the attempts by government to impose Justice Chibesakunda on the judiciary said it was wrong for Acting Chief Justice to continue holding her position when she no longer qualified to hold the highest judicial office. Mr Kabimba however, has declared that the Parliamentary select committee did not have powers to reject Justice Chibesakunda to be appointed Chief Justice and that government was determined to have her ratified to head the judiciary. “The Parliamentary select committee has no power to reject the nomination of the Acting Chief Justice and they can only recommend. A judge can retire at 65 years but can serve up to 70 years and Justice Chibesakunda is below 70 years,” Mr Kabimba said. 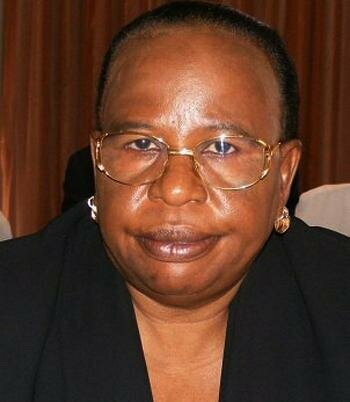 I am surprised to learn that Lombe Chibesakunda is younger than the 70 years!!! I happened to have been in the same class with her from form 1to2 at Chipembi (a very dull woman even then)…I am 71 years old how can she be younger than me??? I guess one can reduce years when it suits!